The time for Durga Puja come again. Mahalaya, marks the arrival of ‘Devi-paksha’ and end of ‘Pitri-paksha’. ‘Pitri-paksha‘ is also called as inauspicious Shraadhh period. This year, it falls on October 8. Mahalaya is celebrated with much grandeur and zeal. Mahalaya is observed seven days before Durga Puja. It symbolizes as an invitation to Maa Durga. On this occasion, chanting Durga mantras is must. In fact, Mahalaya starts with chants of Mahishashur Mardini by Birendra Krishna Bhadra – which has been a tradition for the last 85 years in Bengal. Pitri Paksha is period in Hinduism where people remember their ancestors and offer meal and clothes to them. The offering is known as ‘Tarpan’. 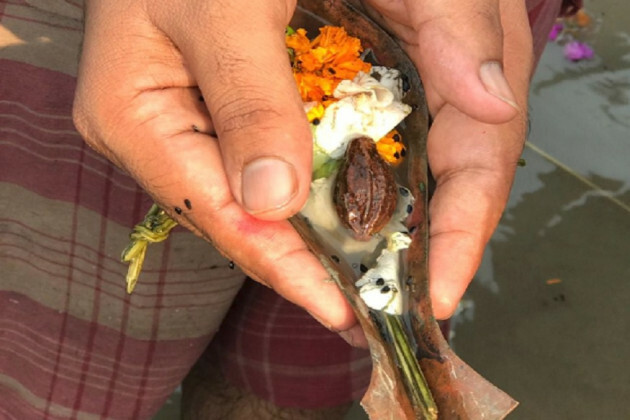 On Mahalaya, Bengalis present tarpan on a banana leaf for the salvation of their forefathers. But, unlike other years, this time it will not be done early in the morning. Mahalaya tarpan has started at 10.49 AM on Monday while it will end on 9.08AM on Tuesday. For Bengalis, Mahalaya is celebrated as the day of invocation. Starting on October 14th, Durga puja holds importance for Benaglis. Mahalaya marks goddess Durga’s advent in her battle against evil. Devotees pray for the deity’s invocation on earth and for her blessings to curb the evil Mahishasur.